This is the time of year that a lot of people look forward to. All of the end of the year holidays...Halloween, Thanksgiving, Christmas, New Year’s. People are getting together with family and friends, having all the yummy foods and treats and drinks and dealing with stress. The end of the year holidays stress a lot of people out because they are worried about over-eating, over-indulging and gaining weight! The reality is, most people will over-indulge and over-eat during the holidays and see some weight gain. 1. Drink lots of water - doing this fills your belly up and reduces the chance that you'll confuse the hydration signal and the hunger signal. 3. Don’t accept any leftovers. Seriously! No matter how good it was or if it’s your aunt’s most amazing and delicious cheese ball…leave it behind. Out of sight, out of mind. You can’t overeat food that you don’t have, am I right? 4. Try intermittent fasting - try eating during a set window of time, say 8 or 10 hours. Not only will this kick start your body’s own natural fat burning process, but people who do intermittent fasting tend to eat less during their set eating window. 5. 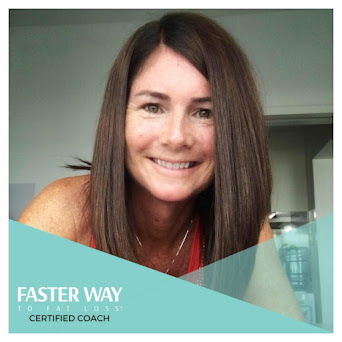 Finally, if you really want to head into the holidays without a worry in the world when it comes to eating and not eating, join my next round FASTer Way to Fat Loss® online bootcamp. 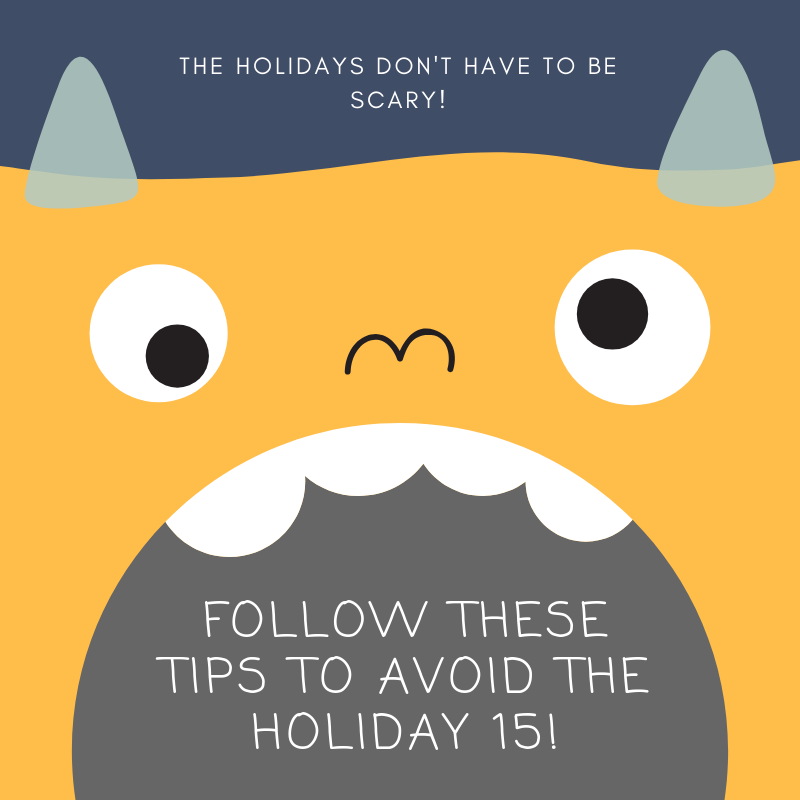 I will equip you with the strategies you need to enjoy all the holiday food and treats and instead of gaining a Holiday 15, you could be on your way to losing a Holiday 15! Have you been logging the miles but not seeing results in your body composition? This happened to me. I called it chubby fit syndrome. My legs could get me across the finish line of a half marathon, but I wished I was stronger and that my midsection was a lot firmer. This happens to A LOT of runners. 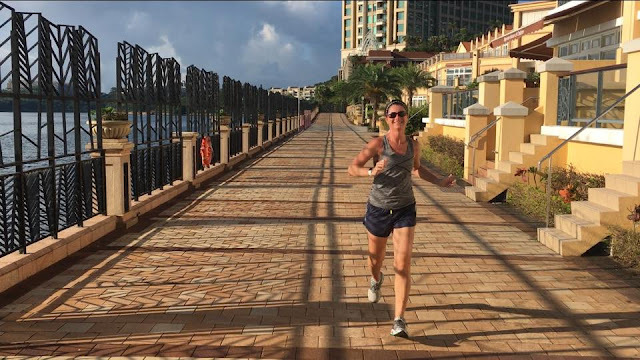 What many runners don’t realize, and I was one of them, is that we are 1) under-eating in calories and 2) spending too much time in sustained state cardio -> which helps your heart and your endurance, but not fat loss and muscle building. The FASTer Way to Fat Loss® put together a workout plan that includes interval training (like sprints and cardio HIIT), strength training and rest days. All things you are probably doing or have done before, but the FASTer Way combines the workouts with intermittent fasting and carb cycling for FASTER results. You CAN do the FASTer Way if you are training for a half/full marathon. You won’t have to give anything up, in fact you can still enjoy that celebratory beer at the finish line if that’s what you like. The FASTer Way will simply show you how to improve the things that you are already doing and make them work FOR you instead of AGAINST you. And it’s not just about losing fat, the program has other benefits for runners like faster finish times, better quality of running and fewer injuries. If I know anything about runners, it’s that you want to continue doing it when you are 70, 80, heck even 90! This program can show you how to fuel properly and maximize your workouts so that your body can sustain a lifetime of running. You can find more information about the program or join my next round here. There are a lot of factors that affect our body's ability to effectively burn fat and sleeping well is one of them. Not sleeping enough can reduce and undo the benefits of good nutrition and exercise, which is why rest is the second most important part of the FASTer Way to Fat Loss® program. 1. Lower cortisol levels - when your body is sleep deprived it produces more of the stress hormone, cortisol. Higher cortisol levels can cause the body to store fat and increase the hunger hormone. 2. Increased motivation - poor sleep or not enough sleep leaves you feeling exhausted, dazed, even a little grumpy. Any motivation you had to reach for good food choices or to take time for exercise goes out the window. 3. Managed hunger hormones - Those who get adequate sleep tend to eat fewer calories than those who don't. Sleep deprivation disrupts the daily fluctuations in appetite hormones and is believed to cause poor appetite regulation. This includes higher levels of ghrelin, the hormone that stimulates appetite, and reduced levels of leptin, the hormone that suppresses appetite. 4. Reduced insulin sensitivity - lack of quality sleep can affect insulin levels. When insulin levels are off, your body will start to store fat instead of burn it. When you cut back in sleep, you also cut back the amount of fat loss you can lose by half. 1. Do your workout at least 3 hours before bedtime. Physical activity promotes deep sleep, but too close to bedtime can stimulate the body and keep you awake. 2. Reduce your screen time. Playing on your phone or laptop, watching television can prevent the body from producing the sleep hormone, melatonin. 3. Create a sleep sanctuary. Dark and cool rooms promote better sleep. 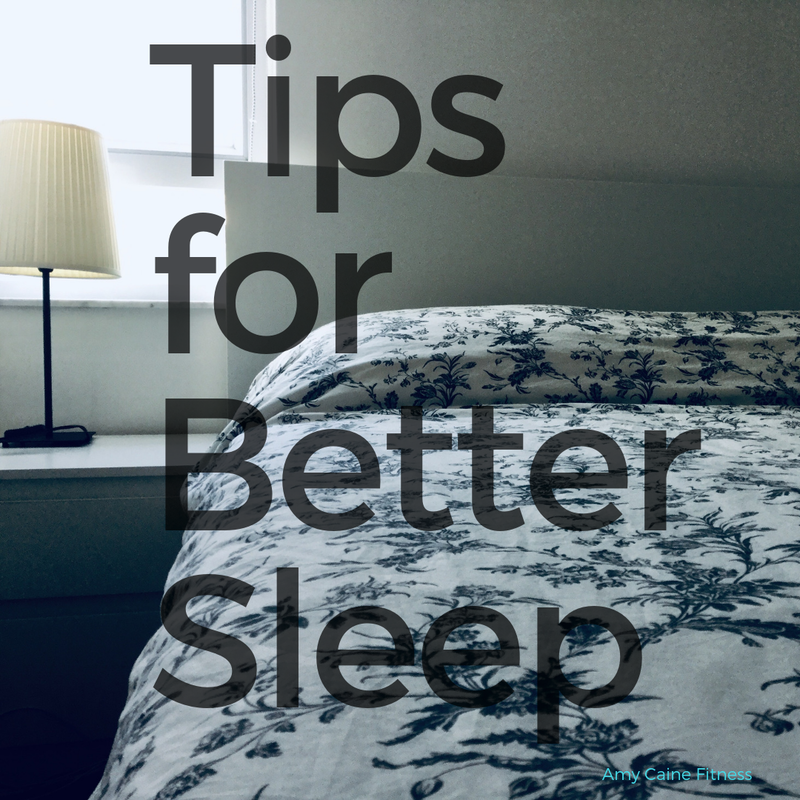 Use black out curtains, cover the glow on your digital clock, wear a sleep mask to block out light. Decrease the temperature in the room you sleep in to signal the body that it is time to go to sleep. 4. Eat whole foods. What you eat throughout the day can promote better sleep. Avoiding processed foods will help you fall asleep and stay asleep longer. Consuming proteins, healthy fats and complex carbs will promote the fat burning process and muscle growth while you sleep. So, in addition to making good food choices and exercising daily, getting enough sleep is important for fat loss and our overall health. 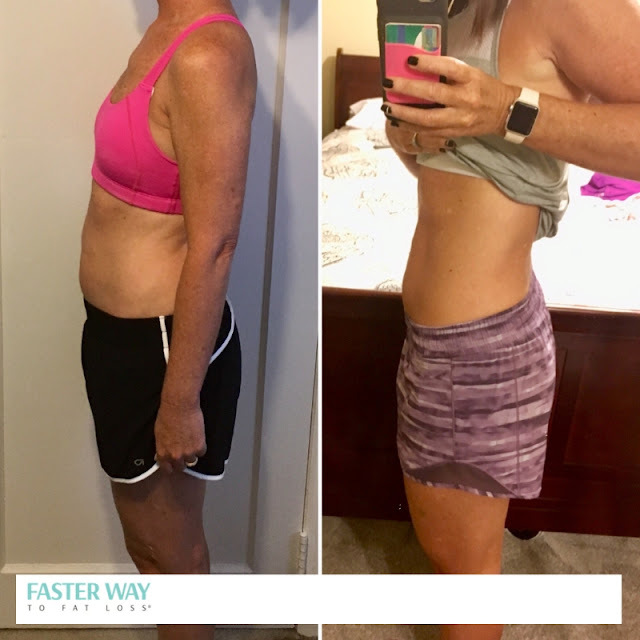 See information on my next round of FASTer Way to Fat Loss® here. 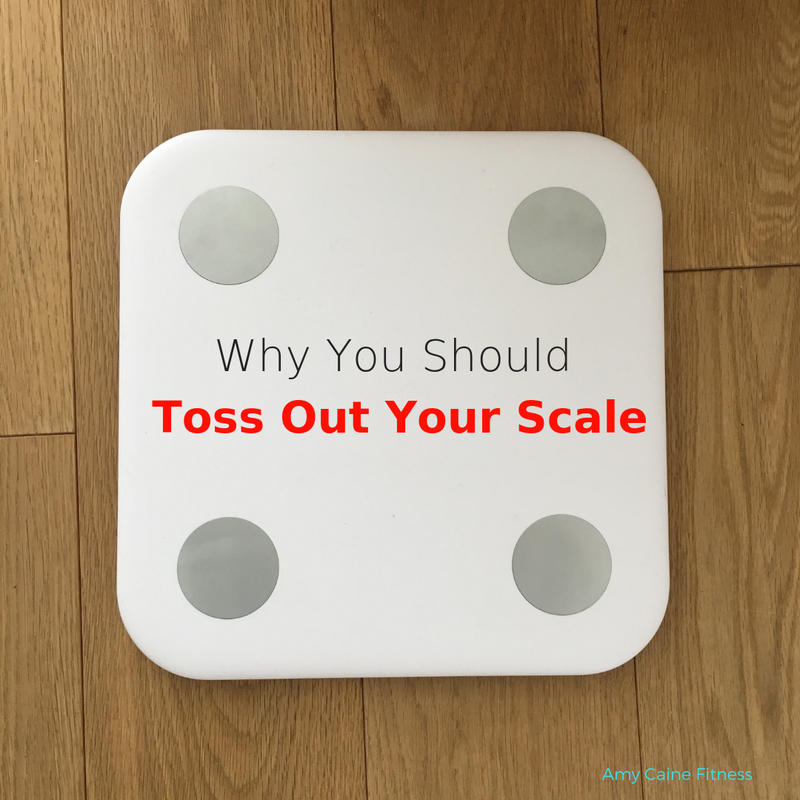 I'm going to share an idea that may sound really, really crazy, but I think you should get rid of your scale! 1. Your scale doesn't tell the whole story. Fat loss and weight loss are not equal ---> fat takes up a lot more room. When you lose 5 pounds, it looks like you lost A LOT more because the space that fat takes up is significant. 2. Weight fluctuations are normal. As we lose fat, our fat cells fill up with water. It's a last ditch effort to stay in our body. This can actually cause a temporary weight GAIN. Once the water leaves the cells our weight will drop. Over time (like during a FASTer Way to Fat Loss® journey) this will happen repeatedly. 3. The number can be misleading. It can tell some people they are healthy when they are not. It tells other people they are unhealthy when they are. Progress should be measured by how we look and FEEL, NOT by a number on the scale. 4. There are other ways to measure your progress. 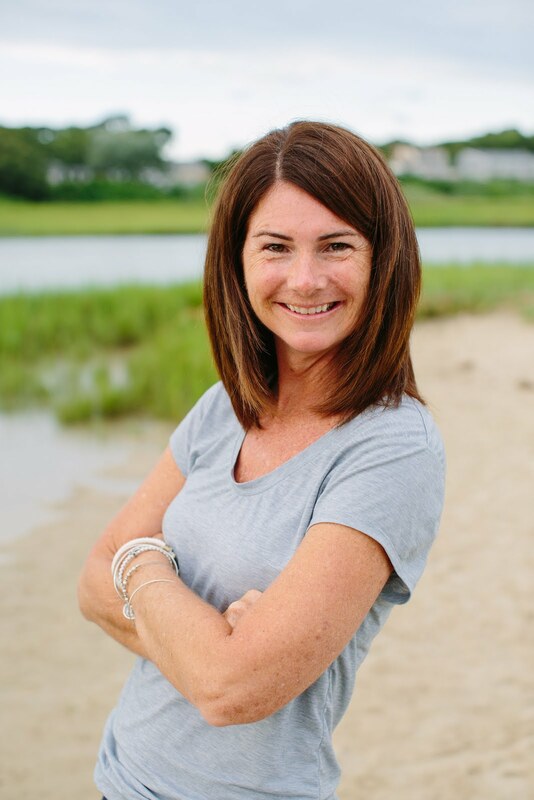 You'll be much happier if you focus on the right measure of your progress, like your body measurements, your before and after photos, your blood work, energy levels, sleep and mood. All of these are much better measurements of your health and wellness than a number on a scale. If your clothes are looser and fitting well, if you're sleeping well and have lots of energy to do the things you want, then why does a number on the scale need to be the main measure of your progress? It shouldn't. Now, go toss out that scale and tell your friends and family to do the same! Leave a comment if you did it. 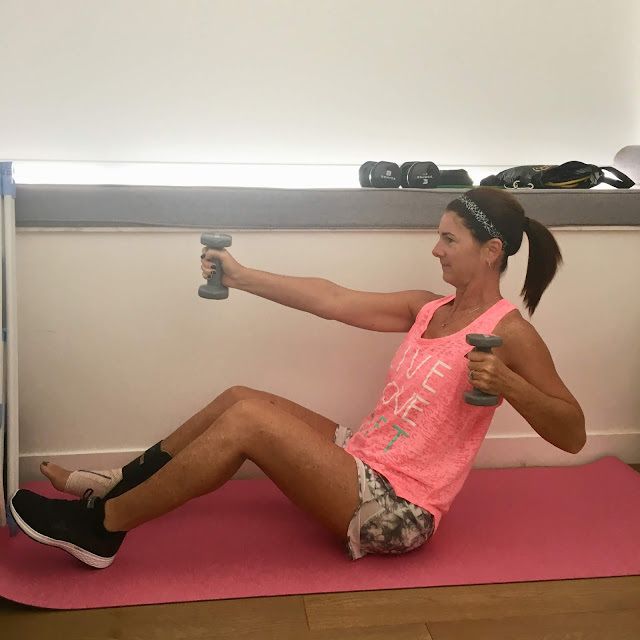 If you have ever suffered a sprained ankle or other foot injury, you know that waiting for the healing process to complete 100% can be frustrating when the rest of your body wants a good workout. I am here to tell you that you can still get a great workout while recovering from an ankle or other foot type injury. First let me tell you my story. Two days before mrC and I were to fly back to Hong Kong from the US, I missed a step going down some stairs at our hotel and sprained my ankle. After nearly a week of following ICE protocol like a pro and taking anti-inflammatory medicine, I was ready to get some exercise that did not involve using the crutches. HIIT Workout - looking to get your heart rate up and break a sweat while exercising from a seated position? It's possible, I did it! Try this workout video. I hope if you are dealing with a ankle/foot injury and you're feeling up to a workout, you will try one of these! Let me know! PS ---> if you are looking for a good pair of resistance bands, I love my set from Fit Simplify. 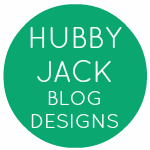 You can find them on Amazon (here) and the tubes too (here).